The UKs fastest growing cycling show makes is Manchester debut from Friday 6th May - Sunday 8th May. Exclusive FREE event for members. Spin – The Cycling Festival is a unique event for Manchester this Spring. The UK’s fastest growing cycling show makes it’s Manchester debut, featuring a collection of innovative, international and home-grown start-ups alongside premier Road, Urban and City bike brands. Discover the latest trends from the eclectic and progressive world of cycling. The UK’s first Public Cycling Conference will start at Spin Manchester, presenting topics and debates exploring the past, present and future of cycling with expert panels answering your questions. 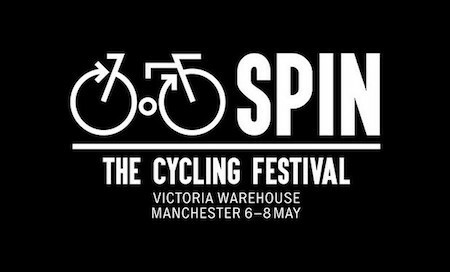 Spin is for all ages with an eclectic mix of exhibitors and features from the world of fashion, travel, lifestyle and of course cycling, so grab a ticket, come along and be part of Spin Manchester. If you like cycling, you’ll love Spin this Spring! See, test, try and buy from up to 100 road, urban and lifestyle exhibitors. The Summit – over 50 speakers from across the cycling world. The Art Hub – installations and workshops with artists from all over Britain. Test track – try bikes that catch your eye in our indoor warehouse circuit! Kids’ test track – safe place for children to try the range of kids’ bikes. The Frame Lab – workshops and presentations on frame-building. Great street-food and craft beer. Cup North – The coffee festival takes part at Spin.